You can't vote if you're not registered! 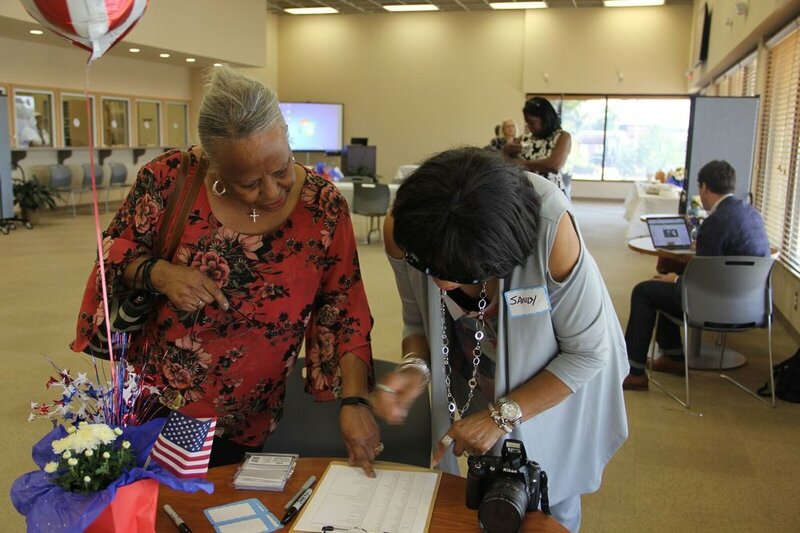 Long before an election, it is important to make sure that you are registered to vote. Use this great tool by the Georgia Board of Elections to check your registration status. Are you registered at your current address? Great! You are ready to show up on Election Day and vote! If you're not registered, or have moved since you registered last, not to worry--we'll help you take care of that here. TurboVote is one of #MiddleGAVote's partners--click on their link below, and you will be walked step-by-step through the voter registration process. Also check out the Georgia Board of Elections website for important election updates and information! Click here for the State Board of Elections website. The second thing is... Education! Being informed is just as important as registering to vote--you have to have the full package! Check out the League of Women Voter's Vote 411 site , which will help you with all your election questions! Your third reminder is... GET OUT & VOTE! You can register (great job! ), and you can get educated (even better! ), but if you don't show up to actually cast your ballot, you will have fallen short. Make sure you get out there and put your hard work to use--make sure you vote! There's one thing about Georgia, though--Voter ID. Click here if you need more details, or contact us if you need further assistance.